There are many reasons why people choose a career in the restaurant industry. Renae Scott, CMO of Togo’s Eateries started along the traditional route with waitress work before finding her niche in marketing. 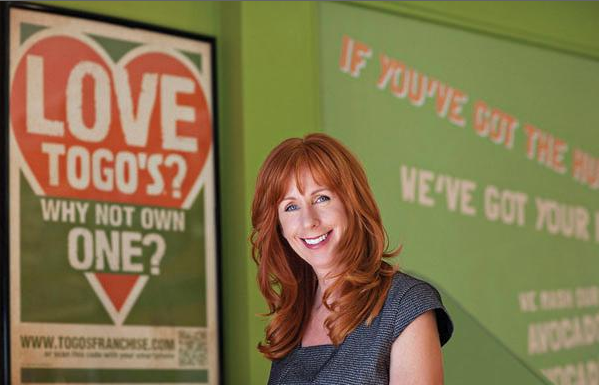 She now leads efforts to grow awareness of the West Coast-based fast casual sandwich chain. In Modern Restaurant Management magazine’s continuing “Talking With” series, Scott discusses opportunities for women in the restaurant industry, the appeal of the franchise environment and her advice for career growth and living up to your potential. Why did you choose the restaurant industry as a career? My first job at 16 was as a waitress in an ice cream shop. Then I worked during college as a waitress and even moved to Maui and served drinks on the beach for a few years before starting my career. So I suppose restaurants have always been part of my life, and it was a natural transition that they became the pivot point of my career. It’s just the strategic vision that separates the good from the great, not gender. What kind of opportunities does the industry provide for women? Women have the same opportunities as men in the restaurant industry. They may be outnumbered, but climbing the ladder in any industry isn’t easy. You find ways to stay focused and positive to achieve your career aspirations. If you want to be a CMO like me, you CAN be a CMO— opportunities are ultimately the same. It’s just the strategic vision that separates the good from the great, not gender. What do you feel is the current gender gap in the industry? I feel the restaurant industry has a far smaller gender gap than other industries, like say, technology. But I am sure it exists in some people’s minds. Specifically, in marketing and the restaurant industry, women have grown in positions. What attracted you to franchising? It’s exciting to see people come with a dream and then help them achieve it. People who become franchisees understand they have to work hard to make things happen and those people can make a great team. With a CMO perspective, I love seeing our multiple locations initiate our marketing efforts. Seeing a franchisee understand and execute ideas the way our marketing team initially thought in an organic sense is awesome. What about franchising attracts women? I think it’s the independence from both the personal and financial side of business. Women want to be leaders, they want a voice, they want to manage a group of team members. Starting a franchise makes it easy to achieve this type of leadership. On the financial side, I think that the entrepreneur role attracts many women. Starting something from the ground up is always fulfilling, and who doesn’t want to be financially successful?! What do you love about what you do and what challenges you? I love that as a CMO every day is a challenge, and I can work across all aspects of our company from operations, product development, technology, and finance. Every piece of the business is also a part of marketing. Traditional advertising isn’t relevant anymore (it was when I started at Togo’s). Now it’s a lot of digital avenues. The tentacles of marketing have stretched and evolved. In the past 7 years, we’ve gone from 2 to 15 employees on our marketing team. We do weekly check ins with everyone, trying to keep it fun and engaging, and I love leading that. What are challenges you see facing the restaurant industry? Competition and the growing number of great concepts. There seems to be more seats than butts! The idea of “fast causal” is booming bigger than ever, with so many choices and more healthier options, keeping an eye on restaurant news and trends is always key in staying on top with new marketing concepts to keep customers coming in the door. Especially with younger generations, they want attractive food so they can post and share on social media. It’s not just about the convenient grab-and-go messaging anymore. It’s more about the fresh ingredients that are photo-ready. What are challenges you see for women in the restaurant industry? It’s similar in other industries, but specifically in marketing in the restaurant industry, women have really grown in positions. Women want to see the restaurant business cater more to them with fresher, healthier options, which motivates them to jump into the industry, give their perspective, and see it executed for customers of all genders and lifestyles. Why is having a mentor so important to you? I believe a cross functional mentor is critical. I aligned early with an operations partner, and she and I supported each other and grew together in our organizations. Aligning quickly with an operations person is critical. It gives you an understanding about IT in general, as well as your own IT department. What are examples of how a mentor/mentee relationship worked in your career? 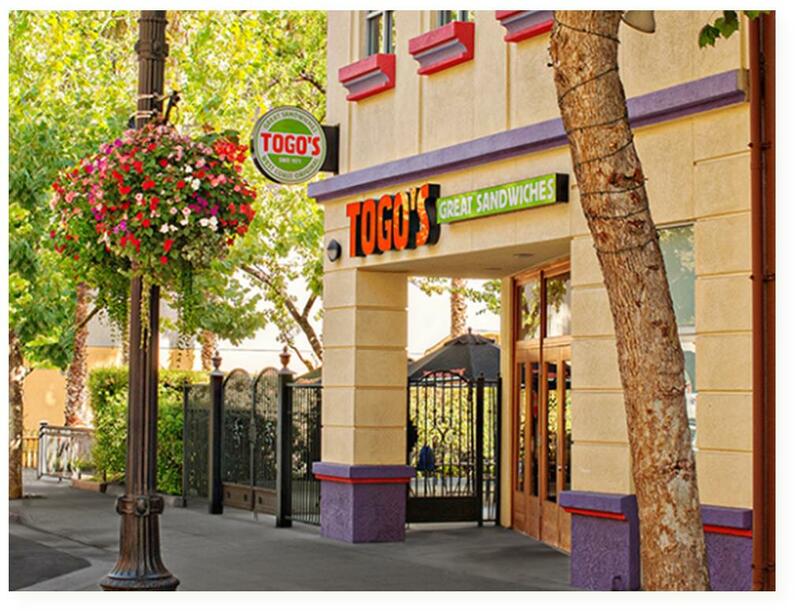 We have eight women at the marketing coordinator role at Togo’s. Many are college grads, so opening doors for them emphasizes the broader opportunities they have. When women are not supported and second guess themselves, things can devolve. Also, I encourage them to share their ideas and express their thoughts or concerns on certain projects. I keep an open dialog with my team and reassure them that they can come to me or each other for anything. What other advice do you give to younger execs looking to make an impact? Invite yourself in. (It’s a version of “Lean In”) but what I mean is …do not wait to be asked to be included in an exciting project or meeting. Knock on the door and invite yourself in. Get to know your executives. Take 10 minutes and start a conversation with one of them or come up with a question to ask. It not only gives you a chance to get to know those at the senior level, but it also gives them exposure to YOU and your thinking.